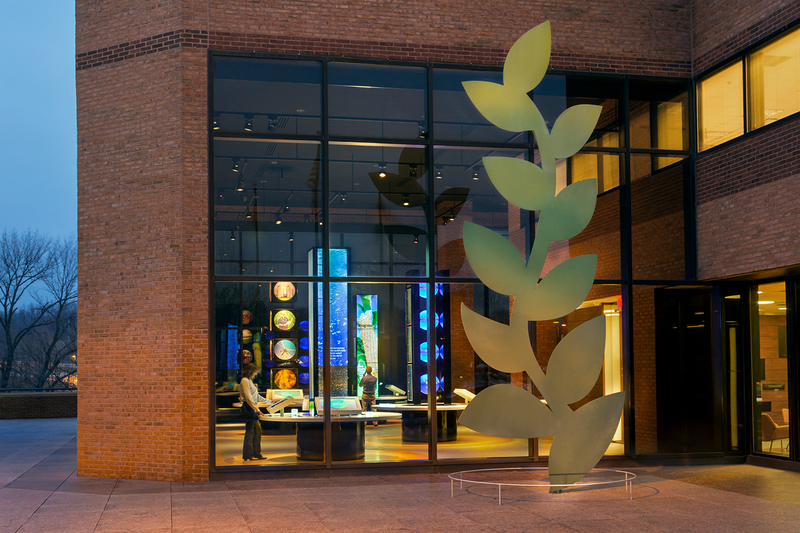 A global leader in the agriculture industry, Monsanto welcomes thousands of guests annually to its research headquarters in St. Louis. 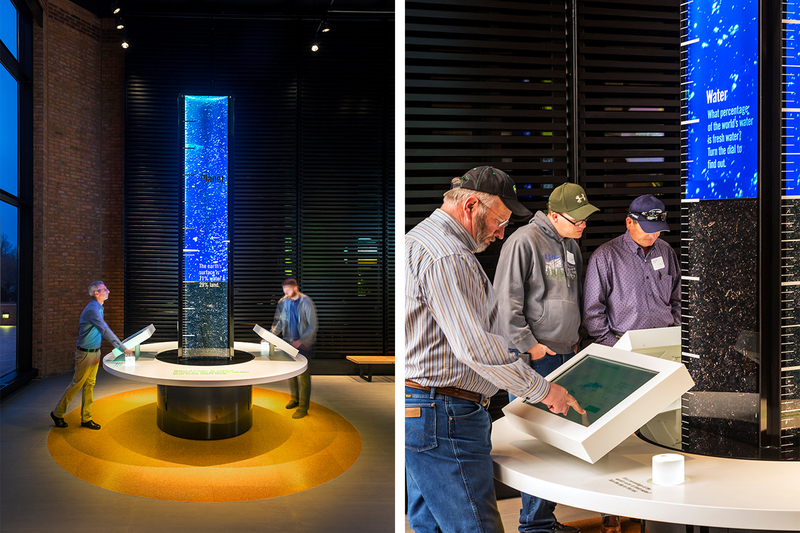 There, a Visitors Center created by Spagnola & Associates presents a “big picture” portrait of the company while also zeroing in on specific issues of interest to its farming customers. The exhibition features a grove of pylons that highlight various challenges facing farmers—from soil and water quality to productivity and innovation. Interactive touch screens, on tables surrounding each pylon, let visitors explore the topics in depth, tailoring the experience to fit their individual priorities and concerns. 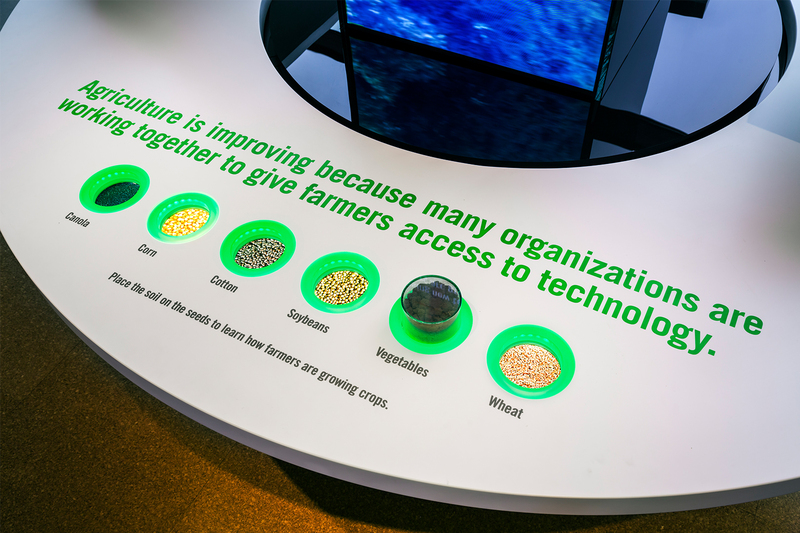 The result is an exhibition that provides practical, useful information, showcasing Monsanto’s eagerness to address the needs of growers. 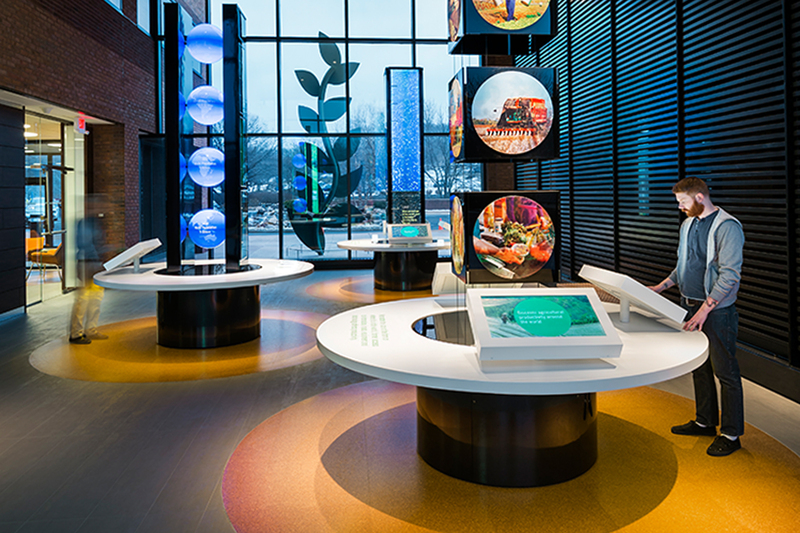 For other visitors, this approach highlights a key to Monsanto’s success: listening to its customers.